The LG G5 price is the topic that is swirling through the heads of the enthusiasts of the Korean company. We don’t blame you, as the price is definitely one of the most vital things that everyone consider before purchasing a device. In this article, you will find the price of LG’s latest flagship smartphone in the UK and the US. Good news for the LG smartphone fans in the UK. The price of the LG G5 has been announced by one of two major smartphone retailers in the region – Amazon and Carphone Warehouse. Both of them have set the LG G5 price to £500. Though the price might look too high for most of the people, it is quite reasonable when you compare it with the outstanding specification. More significantly, it is cheaper than the Galaxy S7. Samsung’s new flagship smartphone has been tagged with a higher price of £569. If you feel that the LG G5 price is too expensive for you, you should go for the typical two year contract plan. You can get the device from Vodafone at £34 per month, which includes 2 GB of data. Moreover, the carrier is offering a free pair of B&O Play H3 headphones for the first 2,000 pre-orders. So, it is definitely a great deal. The major carriers have also started to announce the price plan for LG’s latest smartphone. 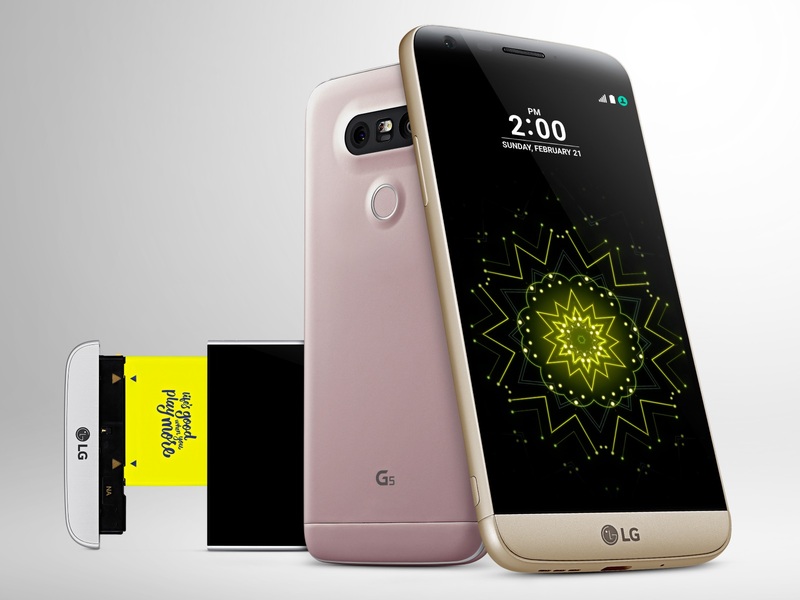 T-Mobile has just announced that it has set the full-retail LG G5 price to $629.99. The carrier is also offering a typical two year contract plan as well. For this, you will have to pay $26.25 per month. The U.S. Cellular has also revealed their plans as well. It has set the LG G5 price to $636, which is a bit pricier than the offer of T-Mobile. We will post more articles on the LG G5 price once the other major retailers and carriers reveal their plans. So, keep visiting our website regularly.